As Black Friday and the holiday shopping season get underway, you'll soon be reading about shopping-related injuries. 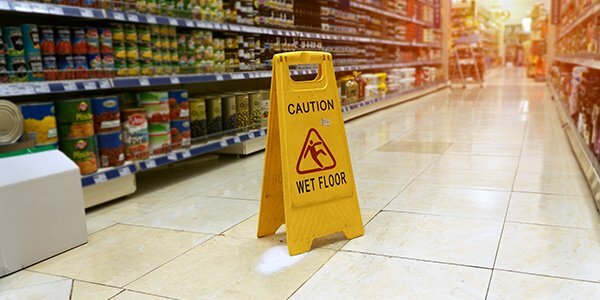 While most of you may think about getting hurt or even killed in a stampede of shoppers, these types of injuries are relatively rare. Assault/Battery. Every year, muggers and thieves lurk outside stores with midnight door-buster sales, looking for potential prey. There may be no easier mark than a single person walking along a poorly-lit parking lot with a shopping cart full of expensive electronics. Exercise caution if you do indulge in late-night shopping, and try to shop with a friend or family member. Car Accidents. Mix a large group of pedestrians with many cars looking for parking spots, and you get a dangerous parking lot situation. Drivers may have their eyes on vacant spots, and not on you and your family. As always, look both ways before crossing a street or parking lot, and don't assume that drivers will see you. From a driver's perspective, you may want to keep a copy of FindLaw's Car Accident Checklist in your glove compartment just in case. Head Trauma. If a sign tells you to ask for assistance before reaching up and grabbing a heavy object, then ask for assistance. Oftentimes, many large and heavy objects are placed overhead. Don't try to reach these yourself. Ask for help. Shopping Cart Injuries. Many of you may not think of physics when you fill your shopping cart, but you should be aware that really tall objects and improperly balanced shopping carts could create a tipping hazard. This can be especially dangerous to small children walking alongside a cart. Keep these tips in mind and have a safe holiday shopping season. Remember that no deal is worth the price of an injury.